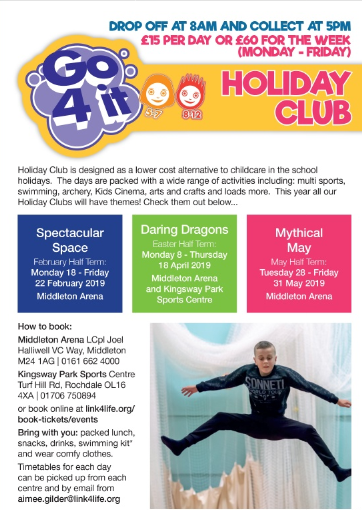 Please see below, the Link4Life offer for children and young people for this Easter half term. Link4Life strive to get children as active, creative and healthy as possible all whilst having as much fun as possible. 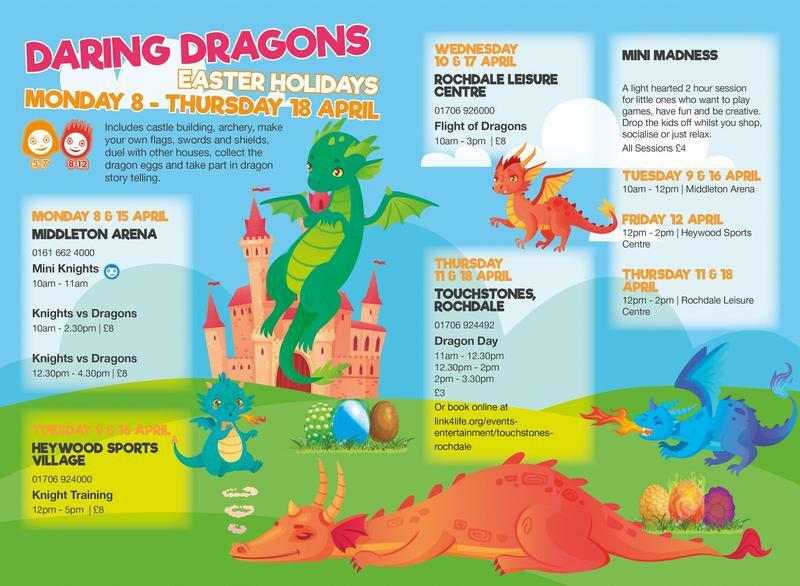 This year the Go4It team are also working with Touchstones to bring children the most exciting and creative half term possible, the theme for Easter is Dragons and Knights. Please contact them for more information.